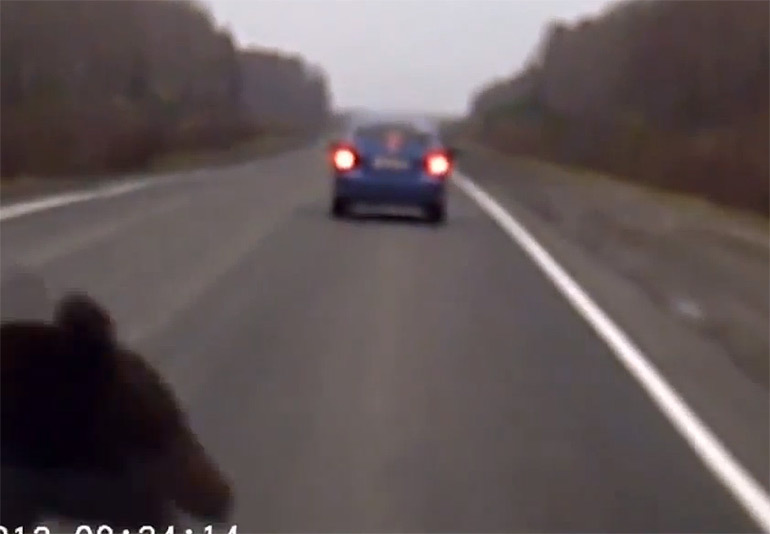 We have all seen the infamous breakdancing ‘human’ bear get down and dirty but never have we seen a real bear pull off stunt like this where a car takes it head-on on a highway while the bear gets another day to live. The interesting thing about the video below is the camera vehicle is overtaken at the last few seconds before making contact with the bear. Fortunately, no one appeared to be hurt while the bear does a little breakdance stunt before walking off. Talking about a quick change of fate for both the blue Suzuki and bear. Enjoy!